For global organizations, the management of risk is constantly evolving. Assessing risk cannot be compartmentalized to the standards and norms of the parent company’s country laws, regulations, operations, and litigious environment. JKJ’s risk assessment factors in many entities, countries, governing bodies, and exposures. We work with global organizations around the world on the avoidance, prevention, retention, and transfer of risk when the business is managing risk in conjunction with their US domiciled entity through commercial insurance programs and risk prevention practices. JKJ’s model to service client locations across the country from a centralized location is an important attribute of our international business model. We have the licenses required in all 50 states for admitted and non-admitted placements, but also, our team is able to be at client locations regardless of where the location may be. This model allows us the flexibility to service subsidiary locations anywhere in the country and focus on developing a high level of competency with a centrally located team. We travel frequently outside the US to meet with executive management teams, risk managers, or ownership of foreign parent companies as part of the global interaction. A primary factor to perpetuate this model is our commitment to remaining independent. By remaining private and independently owned, we can focus on driving resources back to the benefit of our clients rather than outside stakeholders. We focus on four primary areas for our international clients which are: Communication, Culture, Coordination, and Compliance. Through our prior experiences in international transactions we find there is a significant opportunity of creating value to parent and subsidiary companies by beginning with the understanding of the differences in culture and customs of transacting business in each country. Addressing these differences with an integrated solution can be cost effective and coverage efficient for our clients. We focus on transparency for all parties including local management, foreign brokers, executive headquartered management teams, etc. This enables us to properly understand all elements of a risk profile and equipping the global group to make sound business decisions. Transparency is key; ambiguity and vague interpretations lead to miscommunication and ill-informed business decisions. Managing risk globally must be a collaborative effort and requires answering tough questions which often go unasked. This lends to our philosophy that in person meetings are vital. This leads our team to traveling the world for meetings with company headquarter and subsidiary locations. Traditional solutions for multi-jurisdictional locations have been to find a broker in each respective country who can countersign the local policies and provide very basic insurance services, but generally, international networks still focus on “dots on the map” rather than a rigorous analysis of organizational attributes of the broker partners. We have committed time and resources to better understanding other cultures which attribute to our clients’ perspectives and needs. Through our experience we understand and respect how people from other cultural backgrounds relate to issues in unique ways. Not only is there an intentional internal study to cultural disconnect, but through decades of frequent international travel we better understand differing cultural norms compared to most American service providers. Understanding the impact of cultural disconnects can be disastrous in structuring international insurance programs if not considered properly. We recognize that Americans do not think, behave, or process information the same as people in different countries and adapt as best as we can to those varying perspectives. The result of poor communication creates misunderstanding relative to coordinating respective risk management programs in each country. The effective outcome is often gaps in coverage, and the mistaken assumption the terms and conditions provided are “best local standards” automatically provided in all countries. This is aggravated by the fact insurance companies at times refuse to provide translations of local policies in both languages, leading to confusion on the intent of coverage a client was looking to obtain. Respective regulations and legal requirements are often misunderstood, and they continue to become more complicated in this period of government oversight. 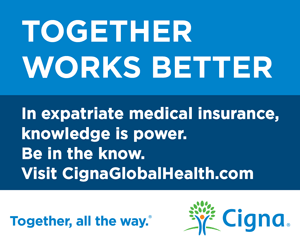 In addition, there can be disconnects as a result of currency exchange rates relative to coordinating retentions and limits of coverage and insurance premium taxes are rarely coordinated appropriately with each subsidiary’s country. Coordinating insurance programs in and of itself is complex, and to most appropriately leverage the scale of the global organization must be completed with professionals who have a global enterprise risk management approach which optimizes scope of coverage and cost efficiencies. Compliance is quickly becoming a major issue in cross border transactions. Issues are centered on tax obligations, revenue recognition, data protection, and appropriate allocation of expenses. Several cases in the EU and in the USA underscore new compliance standards for both insurers and policyholders relative to allocation of premiums and payment of the current VAT or premium taxes. There are also the accounting issues relative to payment of a claim in one country for a loss that occurred in another country. Furthermore, evolving data breach laws, regulation, and litigation is forcing a proactive approach on prevention and transferring this risk through insurance. Duplicate insurance coverage in each country with operations can be a significant problem in the event of a claim with coverage provided by the insurance program in another country. This creates problems in arranging defense and determining which insurance program is the primary insurer. Duplicate coverage is problematic for effective protection against risk for the international organization. Although there is a broad scope of industries served within JKJ’s international practice, below are some of the higher concentration areas in which our clients’ businesses are classified. At JKJ we are most effective when our clients are fully engaged with all divisions of our JKJ team, including claims management experts, risk engineers, internal account managers, representatives, and JKJ’s online portals. Some elements of risk management and insurance are specific to US operations and entities. JKJ works hard to best integrate solutions into a global approach for multinational client organizations. The client has an important role including employee retention, reducing operational risk, premium cost mitigation, and the business perpetuation. As an independent, employee owned company we are focused on driving value back to our clients. JKJ’s international team, although specialized in handling multinational organizations, integrates directly with the staff and services of our successful JKJ model. Risk Engineering – JKJ’s risk engineers interface with our clients’ safety initiatives for our clients to reduce independent consultant costs by navigating the complexities of OSHA regulations, and implementing preventative programs to control the total cost of occupational injury risks. Claims Management – JKJ’s claims consultants act as a client advocate to insurers who are going through claims. We help with coverage analysis, open reserve analysis, and the management throughout the life of a claim with our insurer partners. Contractual Risk Transfer – a primary form of risk management in the US is through contracts. We actively participate with clients’ internal and outside legal teams to transfer and limit risk by way of contracts. Johnson, Kendall and Johnson, Inc.
We started 2018 by sharing memorable moments with our partners at the airport and with our city leaders. As we sent fans to Minneapolis in style to cheer on our World Champion Eagles, we also engaged City Council in the fun with our rally towels that were waived in excitement while councilmembers sang “Fly Eagles Fly.” Additionally, we experienced a humbling moment at the start of the year by reaching a milestone with our PHL cargo team. By January, they had carried more than two million pounds of critical supplies to Puerto Rico for hurricane relief efforts – the most throughout our American network in the northeast corridor. These early achievements and impactful benchmarks reinforce why 2018 is the year of PHL for American Airlines. We have so many exciting initiatives that will continue to reaffirm our status as both American’s transatlantic gateway and Philly’s Hometown Airline. Starting this spring and summer, we will have 11 new routes—three international and eight domestic — that will connect people to the Philadelphia region and beyond. Our new international routes include: Budapest, Hungary; Prague, Czech Republic; and Mexico City, Mexico. Our new domestic routes include: San Antonio, TX; New York, NY; Des Moines, IA; Madison, WI; Omaha, NE; Fort Wayne, IN; Oklahoma City, OK; and Pensacola, FL. Additionally, we resumed our service to Zürich, Switzerland on March 25. As we continue to add more nonstop destinations to strengthen our position as American’s transatlantic gateway, we will broaden our regional economic impact and help make the Greater Philadelphia region an even more vibrant place to visit, live and work. Whether it is above or below the wing, one of our top priorities is to identify ways to improve work environments for our 8,000-plus hardworking PHL team members. This year, we are making culture a competitive advantage. We are refreshing workspaces and meeting rooms and providing the tools and training our work groups require. More importantly, we are supporting team members on their initiatives that strengthen our diversity inclusion and cultural awareness. In January, our newly formed Latin Diversity Network (LDN), one of American’s many Employee Resource Groups, flew to Puerto Rico to distribute over 200 toys which they collected from PHL team members. The PHL LDN is also providing Spanish lessons to our team members to help them learn the airport lingo and better assist travelers. We aim to give our team members everything they need to succeed, as they are our most important assets. As such, we look forward to continuing to work with our public and private partners to make PHL and the Greater Philadelphia Region an attractive place for residents and visitors alike. We welcomed Folasade (Sade) A. Olanipekun-Lewis in February to our PHL team as the new Regional Director for Government and Airport Affairs. Sade joins us from the Philadelphia Division of Aviation, where she served as Chief Administrative Officer. Before that, Sade worked as the Deputy Commerce Director for Finance and Administration for the City of Philadelphia, and as the Chief Financial Officer for City Council. In her new role, Sade will help advance American Airlines’ regional legislative issues. She will also be responsible for real estate matters at the Hub and station levels that support operational activities. We’re excited to have Sade with us, and her experience in aviation and the public sector will be paramount as we continue to forge the necessary relationships to position PHL as the premier airport in the northeast corridor. In recent months the future of Libor has been the subject of intense debate. While the topic has been intermittently discussed since the financial crisis, when it became clear that Libor fixings were not in line with bank funding conditions, the debate has sharply intensified in recent months. July remarks by Andrew Bailey of the Financial Conduct Authority (FCA) — the regulator of Libor — jolted the market and spurred many participants into taking the transition away from Libor more seriously. The FCA has regulated Libor since 2013 and has made significant improvements to the rate through its administrator, ICE Benchmark Administration (IBA). IBA and the twenty panel banks that submit contributions have introduced changes in the quality of governance around submissions, aiming to anchor submissions to transactions. However the underlying market that Libor seeks to measure — the market for unsecured wholesale term lending to banks — is no longer active. According to ICE, fewer than 30% of USD 3m Libor submissions are based on transactions. Meanwhile, many banks reportedly wished to withdraw from being a Libor submitter. Such a move would severely weaken the representativeness and robustness of the rate, potentially creating a domino effect that leads more banks to leave the panel. UK and European legislation only gives regulators limited power to compel banks to continue submitting to Libor. In the case of the European Benchmark Regulation, the “compelling power” is only one to two years. However, FCA’s Bailey and Fed’s Powell have suggested that banks have volunteered to stay on as submitters until 2021, giving the industry time to transition to a new benchmark. Part of the reason that the 2021 deadline was set is that the FCA believes work on a transition is unlikely to begin in earnest if market participants assume that Libor will last indefinitely. The fate of Libor after the end of 2021 is up to the IBA and the panel banks. They could continue to produce the rate, but because the FCA cannot oblige panel banks to stay, the robustness of Libor could deteriorate. Global regulators have meanwhile blessed a number of alternative benchmark rates. All of the rates chosen globally to replace Libor have the benefit of being anchored in much more active markets than term Libor, involving little expert judgement. Additionally, in order to resolve the issue of which members to put on a rate-setting panel, these alternative rates use data from all relevant market participants. The NY Fed is expected to release the SOFR rate in Q2 2018 along with two other rates based upon trade-level data from various segments of the repo market. Fed Chair Nominee Powell blessed SOFR in a recent conference, noting that, “The alternative reference rate needs to be able to stand the weight of having trillions of dollars written on it, and the ARRC has definitely met this standard in choosing SOFR.” The transactions underlying SOFR total nearly $700bn/day — much larger than the volumes in overnight unsecured markets and even larger than Treasury bill trading volumes. Powell’s endorsement of SOFR is the first time that a US regulator has been so explicit about the move away from the current Libor benchmark. Note that an estimated $160tn of contracts are linked to Libor and 90% of the that is linked to USD Libor. In August the Fed Board invited public comment about the plan for producing these rates. These rates will improve transparency into the repo market by increasing the amount and quality of information available about the market for overnight Treasury repo. The rates will be volatile by construction, but given how many transactions these rates incorporate, it will be difficult for any one market participant to influence the rate. The tri-party rate will effectively be the offer side of the market and will be less volatile. The NY Fed proposes using a volume-weighted median as the central tendency measure for SOFR, which would be consistent with the methodology used for the Effective Federal Funds Rate (EFFR) and Overnight Bank Funding Rate (OBFR). In the event of an even number of transactions in the data set, the median would be considered to be the higher of the two numbers (i.e., it would be rounded up). There is a case to be made for a volume-weighted average (geometric or arithmetic mean) rather than a median since SOFR might have a bimodal distribution. One peak would represent relatively low tri-party rates and a second peak would reflect GCF and DVP GC transactions. The median of a bimodal distribution could be more volatile from day-to-day than a traditional volume-weighted arithmetic average if the valley between the two peaks is flat and low. Depending on the shape of the distribution, small changes in the relative volumes of the two peaks can result in significant shifts in the median rate. All repo transactions that are initiated by a collateral borrower that requires a specific issue tend to trade below the GC repo rate. However, some form of filtering needs to be applied to the SOFR rate to remove transactions that are “special”. Simply removing transactions based on recent issues keeps other issues that may be trading special in the calculation. It would also exclude those on-the-run issues that may not be trading special. It is difficult to know the exact level of filtering required. How does SOFR compare with other rates?  Overnight: SOFR and EFFR are overnight rates, while Libor has term rates.  Secured: SOFR is a secured rate and therefore incorporates the cost of balance sheet while EFFR and Libor are unsecured.  Risk free: SOFR and EFFR are measures of the risk free rate, while Libor has some credit component since it measures bank funding costs.  Arrears: SOFR and EFFR are rates where payment occurs in arrears versus Libor, where you can settle in advance. The similarity between SOFR and EFFR makes it useful to compare the new rate to EFFR. The Fed has released SOFR data going back to August 2014 and since then, the 3-month geometric means of SOFR and EFFR have generally tracked closely. Over this period SOFR has averaged about 4bp below EFFR, which is sensible since SOFR is a secured rate and may incorporate some special transactions. The rate is more volatile during month- and quarter-ends, where balance sheet pressures tend to move SOFR above EFFR. Below we discuss the ARRC transition plan. However, we believe that ultimately it is the liquidity in SOFR-linked contracts that will drive the pace of transition. Since SOFR is an overnight rate, many market participants may need to build out the infrastructure of compounding a daily rate. SOFR-based swaps are also likely to be uncleared initially, while Libor-linked swaps are cleared. Regulators may need to incentivize investors to switch to SOFR for new swaps entered into before 2021. Another key issue as the market transitions to SOFR is the inclusion of the new rate in the FASB hedge accounting standards. Current standards include the SIFMA Municipal Swap Rate, the US Treasury Rate, the Libor Swap Rate, and the Fed Funds Effective Swap Rate. Inclusion of the SOFR will help build liquidity in contracts referencing SOFR and ease the transition for many derivative counterparties. H2 2018: Infrastructure for futures and/or OIS trading in the new rate is put in place.  By end 2018: Trading begins in futures and/or bilateral uncleared OIS that reference SOFR.  Q1 2019: Trading begins in cleared OIS that reference SOFR in the current (EFFR) PAI and discounting environment.  Q1 2020: CCPs begin allowing market participants a choice between clearing new or modified swap contracts (swaps paying floating legs benchmarked to EFFR, Libor, and SOFR) into the current PAI/discounting environment or one that uses SOFR for PAI and discounting.  Q2 2021: CCPs no longer accept new swap contracts for clearing with EFFR as PAI and discounting except for the purpose of closing out or reducing outstanding risk in legacy contracts that use EFFR as PAI and the discount rate. Existing contracts using EFFR as PAI and the discount rate continue to exist in the same pool, but would roll off over time as they mature or are closed out.  By end 2021: Creation of a term reference rate based on SOFR-derivatives markets once liquidity has developed sufficiently to produce a robust rate.  Amend the definition of Libor through the fallback protocol to replace the current methodology with alternative reference rates. This could be done by developing a spread, which could be added to the base of the risk free rates. By March 2018 the International Swaps and Derivatives Association (ISDA) plans to draft a report that includes a survey for the users of Libor (derivatives, securities, loans, MBS), identifying issues with the transition in existing and new contracts, and recommendations. ISDA Triggers: What determines that Libor doesn’t exist? The first question is what determines that an investor has to find a replacement for Libor in an existing contract. If all panel banks stop submitting Libor, it would be an obvious trigger. But it becomes more difficult if a few banks drop from the panel. What determines that the panel may have “degraded” is a very subjective issue. Currently, the ISDA trigger is a public statement by the supervisor (in this case the FCA) about an insolvency of the relevant administrator (in this case ICE) or that Libor has been permanently or indefinitely discontinued or that it may no longer be used. Another ISDA trigger is a public statement by the administrator that it will cease publishing Libor. ISDA fallback: What should replace Libor in a contract? Current ISDA fallback protocol is meant for a temporary disruption for Libor. Many contracts allow the counterparty to call up 3 banks in London and obtain an average quote. However, in a situation when banks have stopped submitted Libor, this does not seem like a feasible alternative. Thus more work needs to be done on a permanent solution for a time when Libor may not exist. ISDA has already confirmed it is willing to develop a protocol that would allow market participants to update existing documents to insert a fallback rate should Libor cease to be published after 2021, or possibly sooner in the case of Euribor. Under the ARRC transition plan, counterparties to Libor-linked swaps would amend their documentation to reference an alternative rate well before Libor might cease. Moving from Libor to SOFR would create a valuation change given that SOFR is lower than the Libor rate. The aim is to find the amount of compensation that each side will be willing to pay and receive to make the switch. That amount could be thought of as a spread which could be added to SOFR, which would replace Libor in an existing spread. How do you compute and administer the spread? There are two approaches are currently being discussed to compute the spread: a historical approach and an auction approach. A historical approach would freeze the Libor-SOFR basis on the day the benchmark is ceased while the latter would involve determining the Libor-SOFR basis each day via an auction process. So far we have discussed the issues for the transition away from Libor for derivatives. However, there are many cash products that are linked to Libor, with a many of these products possessing terms past 2021. The ARRC has expanded its work to incorporate the cash transition plan, resulting in discussions about creating a term reference rate. That term reference rate would have to be built by first developing futures and OIS markets that reference SOFR. It will likely not be as robust as SOFR itself, and so derivatives transactions will almost certainly need to be based on the overnight rate. However, a term reference rate could conceivably be used in some loan or other contracts that currently reference Libor. Below we discuss some of the current fallback issues across different products. We would expect new products that mature beyond 2021 to have a more robust fallback as a world without Libor looks much more likely now.  Mortgages and other consumer products: Typically the contract language in mortgages gives the noteholder the ultimate authority to name a successor rate if Libor was permanently discontinued. Other consumer loans may be more varied, but generally seem to have similar flexibility.  Floating rate notes: There are an estimated $1.5tn in outstanding Floating Rate Notes referencing USD Libor. However, 84% of these FRNs will mature by the end of 2021, and 92% by the end of 2023. Typical contract language would direct the calculation agent to first poll a sample of banks (similar to the ISDA fallback language) and then convert to fixed-rate at the last published value of Libor if quotes are not received. It would typically require unanimous consent of the noteholders to adjust these terms.  Securitizations: Approximately $1.8tn in outstanding securitizations reference USD Libor. Agency MBS allow Fannie Mae and Freddie Mac to name a successor rate if Libor was permanently discontinued, but typical contract language in other securitizations would require a poll of banks and then convert to fixed-rate at the last published value of Libor if quotes are not received. CLOs are typically called after an initial 1-2yr period, at which point fallback language could be amended.  Corporate Loans: Flow of Funds data estimate the level of nonfinancial corporate loans at $2.7tn (does not include committed but undrawn lines). A large share — $2.1tn — are syndicated loans (according to SNC data). Roughly 85% percent are floating rate, and a large share of those appear to reference Libor. The typical contract language appears to name the Prime Rate or the Effective Fed Funds Rate plus a spread as the fallback if Libor was discontinued. Note that bilateral loans can be renegotiated by the borrower and lender to amend this, while syndicated loans currently tend to require unanimous lender consent to amend these terms. However, syndicated loans are amended fairly frequently, so it is very likely that most or all of the outstanding stock of loans would be amended before the end of 2021. We expect that lenders will make sure that new and existing loan documents make sense in a world without Libor. Where possible, lenders and borrowers may look to adjust their credit agreement voting provisions so that any change to the rate benchmark will not require a 100% vote. In syndicated loan documentation, borrowers may want the selection of a replacement rate to require the approval of a majority of lenders, rather than requiring unanimous approval. On 24 January 2017, the UK Supreme Court by a majority of 8-3 found that the UK government could not decide to trigger withdrawal from the EU under the relevant Treaty without the prior approval of Parliament. In early March, the UK Parliament confirmed the result of the referendum on 23 June 2016 by voting in both Houses in favour of the European Union (Notification of Withdrawal) Bill which received the Royal Assent on 16 March. On 29 March, just over 44 years since the UK joined what was then called the European Economic Community on 1 January 1973, Prime Minister May notified the European Council in accordance with Article 50(2) of the Treaty on European Union of the UK’s intention to withdraw from the EU. The UK government’s Department for Exiting the European Union then published a White Paper entitled “Legislating for the United Kingdom’s withdrawal from the European Union” in which it published its plans to bring to Parliament a Great Repeal Bill which will repeal the European Communities Act 1972, the statute that gives effect to EU law under UK law and renders EU law supreme over UK law; that repeal will take place on the day the UK leaves the EU and the Great Repeal Bill will also convert EU law as it applies in the UK into UK domestic law to facilitate an orderly transition and confer powers on the UK Government to correct or remove the laws that would otherwise not function properly once the UK has left the EU on a case by case basis from time to time. There are three stages of Brexit, the first being the period that occurred prior to the UK submitting notice of its intention to withdraw. Stage two began when the government gave notice to the EU of its intention to exit the EU and began the process of exiting. Stage two will be by far the most significant stage embodying the UK-EU negotiations for Brexit, which will shape UK-EU relations and Britain’s post-Brexit future for decades to come. The timetable for that process is initially set at two years, but with power to extend. Strictly in terms of EU legality, stage three is when the exit process is complete and the UK is able to “go it alone” in negotiating its post-Brexit future with the rest of the world; however, the UK is understandably reluctant to wait for the actual exit before embarking on stage three, which will last for years, so will begin stage three early (or, at least, early in the eyes of the EU) once it has given notice to quit. The reality is that, overall, although an exit from the EU will be on a two year time frame, the entire process could last five to ten years. Any Brexit deal will encompass a wide range of workstreams covering Britain’s legal separation from the EU; a withdrawal agreement under which existing assets and liabilities will be allocated; a free trade agreement covering the UK’s future relationship with the EU (EU-UK FTA); a transitional phase between Brexit and commencement of the EU-UK FTA; accession to full membership of the World Trade Organisation; new free trade agreements to replace those between the EU and 53 other countries; and cooperation in the realms of defence, foreign policy, and security. Negotiation of fair and mutual transitional arrangements will be key for the economies of the UK and the EU to avoid adverse results of the “cliff edge” variety upon the UK’s exit. There is a spectrum of possible outcomes of any Brexit deal, bookended by “hard Brexit” and “soft Brexit”. However, neither of those terms can clearly be defined. Some define “hard Brexit” as rejecting privileged access to the EU single market in return for submitting to some EU laws and institutions, While the swirl of day-by-day posturing, partisan commentary, and reluctance of the UK and EU authorities to reveal their negotiating hands make it challenging to discern probable routes forward and plan accordingly, there is no reason why even a “hard Brexit” cannot encompass access to the single market for financial services companies. In this article, we explore how the established EU concept of third country passporting for financial services firms could mitigate the adverse effects of any exit from the EU single market for London as a leading world financial centre. The City of London is one of the world’s leading financial centres, vying only with New York City for the top spot. As such, many financial services firms choose the UK to headquarter their businesses, anchoring themselves in a convenient time zone and location from which to access the European and global markets. Post-referendum, the primary concern of financial services professionals is whether they will be able to continue to access the European single market for financial services. This begs the question of whether the UK, in its Brexit trade deal negotiations, will accept the fundamental European principle of the free movement of people in order to gain such access. more than 50% of all investment firms authorised under MiFID are based in the UK. In addition, the European Securities and Markets Authority’s (ESMA’s) opinion of 30 July 2015 on the functioning of the Alternative Investment Fund Managers Directive (AIFMD) passport noted that out of 7,868 AIFs notified for marketing in other EU member states, including sub-funds of umbrella AIFs, 63.8% of those (5,027 AIFs) were from the UK. In addition, out of the 1,777 non-EU AIFMs marketing AIFs in EU member states, 1,013 (57%) were marketing AIFs in the UK. The figures are clear—the UK generates a significant proportion of the EU’s MiFID and AIFMD passporting business. Conversely, the UK financial services sector benefits hugely from the EU passport and access to the single market. For completeness, passporting rights also exist under the Insurance Mediation Directive, Mortgage Credit Directive, Electronic Money Directive, Capital Requirements Directive and Solvency II. However, those directives are outside the scope of this article. Many firms hold more than one passport; hence, there are significantly more passports than firms. The optimal outcome for UK financial services firms that wish to retain their current access to the single market in financial services would be a bespoke deal, but if not achievable, the third country passport can mitigate the issues arising from withdrawal of passporting rights. Investment firms, banks, and fund managers will no longer be able to passport into, or establish branches in, the remaining EU member states. Firms will not be able to market Undertakings for Collective Investment in Transferable Securities (UCITS) and AIFs EU-wide on a passported basis. Firms will only be able to market AIFs EU-wide using local private placement regimes. Investment managers will need to acquire local authorizations to conduct investment activities in each EU member state in which they operate. Many investment firms, banks, and fund managers would need to consider whether to relocate their base of operations in an EU country while retaining a substantial UK foothold in order to retain the passport. The EU has already recognised the concept of non-EU or third country access to the passport, provided that stringent (but, in our opinion, entirely achievable) conditions are met. The best current examples of that are the AIFMD, the European Market Infrastructure Regulation (EMIR), and to some extent, the Prospectus Directive. In addition, MiFID II—due to come into force in January 2018—provides for such access, albeit in the non-retail sector only. However, the UCITS regime does not envisage the extension of its regime to non-EU countries, as by definition UCITS and their managers must be domiciled in the EU. AIFMD contemplates that non-EU AIFMs in eligible third countries may benefit from the right to manage AIFs and/or market units or shares of AIFs throughout the EU with a passport. At present, no such passports have been granted. However, the process for doing so is well underway. Canada, Guernsey, Japan, Jersey, and Switzerland have recently been given a “favourable opinion” by the ESMA in its advice to the European Commission on the extension of the AIFMD passport. In addition, ESMA has given favourable but qualified opinions regarding the same in respect of Australia, Hong Kong, Singapore, and the United States, but has not yet been able to provide definitive advice in relation to Bermuda, the Cayman Islands, and the Isle of Man. The Commission is deliberating on the timing, and it is not clear when the third country passport will become available to AIFs and AIFMs based in a third country that has already been given a favourable opinion by ESMA. If the UK was to leave its current AIFMD-compliant regime in place, it ought to be technically straightforward, following Brexit, for the AIFMD passport to be extended to the UK. If so, UK AIFMs managing EU AIFs and/or non-EU AIFs could become authorised under AIFMD by achieving authorised status in an EU country and could continue to use marketing and management passports subject to a positive opinion from ESMA and a decision by the Commission that the UK qualifies for such treatment under the applicable criteria. However, political considerations would be inherent within any such decision and would likely complicate it. The Markets in Financial Instruments Regulation (MiFIR), which is due to come into force in January 2018 (and forms part of the MiFID II regime), entitles “third country” investment firms to provide investment services only to professional clients across the EU upon registration with ESMA. Registration will be contingent upon a range of conditions, including a decision made by the Commission that the relevant third country’s prudential and business conduct framework is equivalent to EU standards. Would the UK pass the third country test? In our opinion, yes. On 24 June, the FCA made it clear that firms are to continue down the road to implementation and are to comply with all EU legislation until further notice. As such, if the UK implements in full the provisions of MiFID II, it ought to be a relatively simple process, following Brexit, for the MiFID II passport to be extended to the UK, thus providing firms with non-retail single market access. However, political considerations could trump that. EMIR is the product of an international initiative of the G20 developed in the wake of the Great Recession. With this in mind, the UK is unlikely to want to unravel EMIR post-Brexit. Since in a post-Brexit world a UK undertaking would no longer be established in the EU, under EMIR, UK undertakings that are currently financial counterparties or non-financial counterparties would become third country entities (TCEs) for EMIR purposes and no longer directly subject to EMIR. However, EMIR does impact TCEs when they trade with EU counterparties, and to that extent EMIR will continue to impact the same post-Brexit. The City of London boasts some of the world’s largest clearing houses, and at least three of them are currently permitted under EMIR to provide clearing services to clearing members and trading venues throughout the EU in their capacity as ESMA-authorised central counterparties (CCPs). Post-Brexit, however, a UK CCP would become a third country CCP. Under EMIR, a third country CCP can only provide clearing services to clearing members or trading venues established in the EU where that CCP is specifically recognised by ESMA. This would require, among other things, clearing houses operating out of London to apply to ESMA for recognition, the Commission to pass an implementing act on the equivalence of the UK’s regime to EMIR, and relevant cooperation arrangements to be put in place between the EU and the UK—a lengthy process overall and one thrown into doubt by Brexit. Encouragingly for the UK, since 27 April 2015, 19 third country CCPs have been recognised by ESMA emanating from Australia, Canada, Japan, Hong Kong, Mexico, Singapore, South Africa, South Korea, Switzerland, and most recently the United States. Clearly, there is an appetite within ESMA and the EU for third country CCPs to provide services within the EU, and post-Brexit, we believe that financial institutions based in the EU will certainly want to continue to access UK regulated markets and CCPs. As an EU member state, the UK is currently a participant in the Prospectus Directive’s passporting regime for prospectuses. Any failure by the UK to secure continued access to the single market would bring challenges. Notably, prospectuses approved in an EU member state in connection with a listing on a regulated market in that member state would need to be recognised by the FCA in order to be approved for UK listing purposes. Conversely, prospectuses approved in the UK would need to be approved afresh by the regulatory authority in an EU member state under applicable Prospectus Directive standards for the prospectus to be used for a listing on a regulated market in that state. However, under the Prospectus Directive, an EU member state regulator is able to approve a prospectus approved in a “third country” if the Commission is satisfied that the prospectus was drawn up in accordance with international standards, and that the relevant third country’s prospectus content requirements were equivalent to those in the Prospectus Directive. Provided the UK’s prospectus requirements do not change dramatically from what are currently in place, we believe that the UK’s requirements should be considered equivalent to the Prospectus Directive requirements for the purposes of listing in the EU. UCITS funds and their managers (but not necessarily the delegates of their managers), by definition, must be domiciled in the EU. Unlike AIFMD, EMIR, MiFID II and the Prospectus Directive, the UCITS regime does not envisage the extension of its regime to non-EU countries. In other words, UK UCITS funds would no longer qualify as UCITS. Instead, UCITS would become AIFs. This means that UK-based UCITS funds would no longer be automatically marketable to the public in the EU and would therefore become subject to local private placement regimes. Conversely, a UCITS fund established, say, in Ireland or Luxembourg, would no longer be marketable in the UK to the general public, and a management company based in Ireland or Dublin would no longer be entitled to provide management services to a UK-based UCITS fund. During any Brexit negotiations, insertion of a “third country” equivalence test into the UCITS regime may be used as leverage by the EU negotiating team in exchange for concessions by the UK. Any third country equivalence regime that is substantially similar to that under AIFMD and MiFID II would be well received in the City of London and would provide the necessary reassurance for financial services firms operating in the UCITS space. Monitor Brexit developments and consult your legal services providers to help you understand these developments as they unfold. Develop a contingency plan for a “hard Brexit” and how to respond to withdrawal of passporting rights and the absence of a third country equivalent mitigant. The jurisdictional scope of your contracts may be limited. The definition of “EEA” may need to be redefined to continue to cover the UK in the event of Brexit. Current investment strategies may require updating. In particular, investment strategies that permit investments in the EEA may need to be amended in order for investments in the UK to continue to be permitted. There may be force majeure implications. Uncertainty may drive parties to look for an exit from contracts that are no longer profitable or are underperforming. EU law provisions may render contracts incapable of being performed as originally anticipated. Parties looking for flexibility in such circumstances should consider including Brexit in their force majeure provisions. Termination rights. Those wishing for the option to withdraw from potentially loss-making contracts should consider drafting termination rights which will apply in the event of a Brexit (i.e., consider drafting and quantifying withdrawal rights in the event of a “material adverse financial event/downturn” in the markets). We recommend lobbying the UK government, either directly or through your relevant trade association, to ensure that your voice is heard and that key financial services sector considerations will be on the agenda when a Brexit deal is negotiated. In addition to the range of sectoral trade associations, there are various lobby groups in existence, such as TheCityUK, whose aim is to preserve access to the European markets; the European Financial Services Chairmen’s Advisory Committee which is chaired by Shriti Vadera, former Labour business minister, and the Financial Services Negotiation Forum. For further information on the implications of Brexit, please visit Morgan Lewis’s Brexit Resource Centre. Morgan Lewis offers more than 2,200 lawyers, patent agents, benefits advisers, regulatory scientists, and other specialists in 30 offices* across North America, Asia, Europe, and the Middle East. The firm provides comprehensive litigation, corporate, transactional, regulatory, intellectual property, and labor and employment legal services to clients of all sizes—from globally established industry leaders to just-conceived start-ups. Club Level Feature: Bartlett & Company Inc. In a globe-straddling twist on the family-owned regional agency, UK-owned Bartlett & Co. Inc., operated by second- and third-generation insurance professionals, combines a unique international footprint and a focus on niche markets to create a formidable and fast-growing business that’s more than equal to the task of competing with big brokers for business. The firm was started in 1940 by Fred Bartlett in the English city of Bradford. Unable to join the Royal Air Force due to poor eyesight, he worked in a coal pit to help keep British industry going during the war, and later joined the Auxiliary Fire Service— all while running the business. The brokerage is now led by Michael Bartlett (Fred’s son) and his two sons, Richard and Andrew, from group headquarters in Leeds, England. Under Michael’s leadership the business has grown from a regional insurance broker in the UK to a much larger player, with over 120 employees that manage insurance programs in more than 40 countries from offices in Philadelphia, Leeds, London, Paris, Amsterdam, Hamburg, Hong Kong, Sydney and Kampala, Uganda. Bartlett opened its Philadelphia office in 1997, originally to service the American business interests of its European clients. Since then, Bartlett has developed a large and expanding roster of US clients. Currently, about 50 percent of Bartlett’s Philadelphia-branch business is generated from overseas; the other half is US-based, much of which has an overseas exposure. Bartlett’s sprawling global reach affords the brokerage access to all major insurance carriers around the world. In addition to standard market access, Bartlett Ltd is also a registered broker at Lloyd’s of London. This status at Lloyd’s serves as a distinct advantage for Bartlett and their clients, by increasing the options available for complex risks and providing additional capacity when the market cycle causes upward pressure on premiums. In addition to its ability to offer global service to its clients, Bartlett sees two other factors as critical to the firm’s solid performance: its approach to pricing and a laser-sharp focus on niche markets. “In a country with 38,000 independent brokers, it’s important not to fall into a ‘race to the bottom’ and compete solely on price when it comes to placing insurance and advising business executives,” says Richard Bartlett. “While price has been a driver in securing new business during the global recession, identifying niche markets which play to our strengths—with higher barriers to entry and where the expertise of our staff and high service standards will be valued—has enabled us to compete on other differentiators and ensure our steady organic growth through demonstrating and delivering value to our clients and prospects,” Bartlett adds. Regular contact between the client and the Bartlett team at all levels, including stewardship meetings midway through the policy period to review pre-defined risk management and claims goals, future business plans, the state of the market, and renewal strategies. Click here to learn more about Bartlett and for a complete listing of services. Boyds, an iconic Philadelphia Clothier, and the newest British American Business Council of Greater Philadelphia Club Level member, offers the best designer fashion, shoes and accessories for men and women, with impeccable service. The founder of Boyds Philadelphia, Alec Gushner, emigrated from Russia in 1936. He opened his first store, selling “big & tall” men’s suits and sport coats more than 70 years ago in the heart of Philadelphia’s flourishing clothing retail sector on 5th and Market Streets. At the time, the majority of Philadelphia’s social elite would be spotted almost nightly at the Boyds Theater across town. Ever savvy Gushner strategically positioned his business to be associated with the upscale clientele of the famed venue, naming it “Boyds Philadelphia.” In the 1990s, the store moved uptown to the Rittenhouse Square neighborhood, one of the most exclusive parts of Center City, Philadelphia. Seasoned international business executives and new to the professional scene hipsters alike can find something original for the season, update a wardrobe, or obtain the perfect outfit for that special occasion, all under one beautiful roof. Boyds is regarded as one of the world’s greatest clothing stores. The family continues to place emphasis on international networking and cultivating cross-cultural opportunites for style savvy shoppers and executives. In the age of mass merchandising, when so many retail stores look the same, Boyds prides itself on providing customers with exclusive merchandise. They offer one of the country’s largest selections of fine men’s and women’s designer fashions. After all, such quality is what their customers have come to expect – from the $2.25 sport shirts of the 1940s, to the leisure suits of the 1970s, to the luxurious fabrications and designers of today. Part of Boyds’ commitment also includes a policy of extraordinary customer service. Free custom alterations, fashion coordinators, and free valet parking are part of the Store’s ripe tradition. Boyds treats customers as individuals. That’s not typical, but neither is Boyds. With more than 40 on-site European tailors – Boyds boasts the largest custom tailor shop in the country. The Store will customize the fit of anything from denim and sport shirts to suits and dresses. Boyds offers designer collections; men’s and women’s apparel; contemporary fashions; handbags; and shoes, from top fashion houses including: Isabel Mirant, Alexander McQueen, Giambatista Valli, Mugler, Brioni, Canali, Brunello Cucinelli, Zengna, and more. Need fancy footwear? You’ll find top shoe designers like Gianvitto Rossi, Alexander Wang, Aquazurra, Monolo Blahnik, Ferragamo, Tods, Gucci, and more. Boyds occupies five floors of the old Oliver Bair funeral parlor, a magnificent building located at 18th and Chestnut Streets. The recently opened Boyds Custom Shirt Shop is better than ever. Visit Boyds’ new Custom Shirt Shop and experience the perfect shirt. From dress shirts to sport shirts to formal shirts, experience feeling the fabrics of your choice and selecting the colors and patterns you desire. Then one of our master tailors will take your precise measurements. Collars to cuffs, it’s your call! Designers include: Hamilton, Individualized Shirts, Ermenegildo Zegna, Eton, and Isaia. Visit Boyds. You will be impressed, not only by the beauty of the store and the merchandise they carry but by the impeccable service and welcoming environment. The Store hosts fashion and trunk shows and exclusive shopping events throughout the year. Boyds is an avid supporter of local charities. Join the British American Business Council of Greater Philadelphia on Wednesday, November 4, 2015 for the Fashion Forward Executive Apparel Fundraiser & Networking Event. Spend an evening enhancing valuable business connections and shopping for global designer apparel, shoes and bags. All attendees will receive a special discount and a percentage of revenue will be donated to The Ronald McDonald House. The Philadelphia Ronald McDonald House supports families of seriously ill children by creating a community of comfort and hope. Proceeds from this event will go towards families who are traveling from outside of the United States for treatment. Click here to learn more about Boyds and for a complete listing of services. In 2009, Duane Morris created the Duane Morris Institute (DMi) to serve as the educational arm of the firm’s Employment, Labor, Benefits and Immigration practice group. Duane Morris attorneys offer CLE and HRCI accredited programs in-person (Philadelphia, New York and London), at client work sites and online. DMi instruction maintains a keen focus on the practical applications of knowledge to empower human resources professionals, in-house counsel, benefits administrators and other senior management to maximize legal compliance, minimize legal risk and consider best human resources practices. By providing real-world, business-relevant information, the organization has thrived as a value-added service for Duane Morris clients and industry professionals alike. Beginning this year, we have been pleased to extend the DMi to the United Kingdom (DMi UK) to offer our clients and other professionals in the UK and Europe access to timely, relevant courses that will help participants achieve their business goals. In the US, an employee must prove eligibility to work in the country within the first three business days of employment. In contrast, in the UK, eligibility must be proven prior to the first day of work. In the US, under federal law, family leave can be taken to care for a spouse, child or parent. Some states go further. In the UK, the law is much broader. Family leave can be taken to care for any dependent whom an employee can show is genuinely dependent upon him or her; this is, in practical terms, usually a family member, but it is not limited to family members only. In the US, an employer can mandate as much overtime as it wants, absent a state law or a union contract to the contrary. In contrast, in the UK, generally, an employee cannot be required to work more than 48 hours in a work week absent his or her consent. In the US, unless an employee has a contract to the contrary, generally, an employee can be terminated at any time with or without prior notice. In the UK, regardless of a contractual provision, minimum notice provisions will always apply, unless the dismissal is for “cause,” such as stealing company money or property, lying, harassment, violent behavior, etc. In the US, unless an employee has a contract to the contrary, generally, an employee can be terminated at any time with or without cause (so long as not for an unlawful reason). This may look similar to the point above but it is very different. Point #4 deals with whether notice is required and #5 deals with whether there must be reason for termination. Answers to these questions differ under UK law, even though in the US there is a tendency to collapse the two distinct issues into one. In the UK, after two years continuous employment, regardless of contractual provisions, a fair reason for termination is needed, e.g., redundancy, capability, cause. After that two-year period, if there is no “fair” reason to terminate, the termination will be deemed unfair and liability arises. In the US, an employee has no entitlement to severance upon termination of employment, even if terminated without cause, unless the employee has negotiated a contractual right or the employee is eligible under a severance plan. In the UK, an employee will be entitled to statutory severance if she is made redundant after two years continuous employment, plus contractual or statutory notice in most cases. In the US, in order for a release of claims to be effective, it must be knowing and voluntary. An employee who is 40 years old or older must be encouraged to consult with an attorney and should be encouraged to do the same even if under age 40, but there is no obligation for the employee to consult with lawyer or for lawyer to sign. In the UK, for a release to be effective, it must be signed by a solicitor acting for the employee. Without the employee gaining independent legal advice, the severance is wholly unenforceable. Providing the employee with an option to seek legal advice is not an option in the UK; the legal advice must be taken and the adviser must sign the release. In the US, except for a few state laws to the contrary, applicants and employees are protected from age discrimination only if they are 40 or over. In the UK, protection from age discrimination applies to all applicants and employees, regardless of their age. In the US, there is no maximum length for non-compete agreements (per se unlawful in California). The question is reasonableness under all relevant circumstances. Non-competes of up to two years have been upheld for some positions. In the UK, the courts generally will not uphold non-compete periods of more than 12 months. Also, where a non-compete clause is drafted too widely, it almost always will be struck out entirely in the UK. In most states in the US, courts will blue pencil (narrow) an overbroad non-compete and enforce it to the extent reasonable. Join us on September 30 and we will discuss the first 9 in more detail, share #10 and provide other examples. DMi and DMi UK have a robust upcoming CLE and HRCI certified training course schedule. Some highlights include: Executive Leadership Retreat: Full-Day Event in Philadelphia (Philadelphia, June 11) – topics include, “The Time That Binds: Balancing Strategic Vision and Employee Coaching” presented by Thomas G. Servodidio, “Preventing and Addressing the Inevitable Security Breach: Managing Data and Security Risks in the Digital World” presented by Sandra A. Jeskie, “The Secret Sauce: Trends in the Law of Trade Secrets and Strategies to Protect Your Company’s Intellectual Property” presented by Aliza R. Karetnick, and “Top 10 Systemic Ways to Maximize Gender Equality (Not for Women Only)” presented by Jonathan A. Segal; Employment Tribunal Program (on-site at the Central London Employment Tribunal, June 25); and TUPE (Transfer of Undertakings/Protection of Employment): From Starts to Finish in Two Easy Hours (London, September, 24). For a full listing of DMi and DMi UK courses, please visit http://duanemorrisinstitute.com/courses. As part of our promotional partnership with the British American Business Council of Greater Philadelphia, Duane Morris Institute would like to offer a first time, 50 percent discount on one of our webinars to the members of BABC. Please use code BABC2015 when adding a program to your cart. Jonathan A. Segal is a partner at Duane Morris LLP in the Employment, Labor, Benefits and Immigration Practice Group, as well as the managing principal of the Duane Morris Institute. Segal’s practice focuses on: preventive counseling; training and policy development with regard to numerous employment matters; general counseling on compliance with federal, state and local employment laws; mergers & acquisitions; privileged audits; contracts/agreements; and traditional labor. He has served intermittently as a consultant to the Federal Judicial Center in Washington, D.C., providing training on employment issues to federal judges around the country. In this capacity, he has been a featured speaker at conferences for Chief United States District Judges. Segal has also provided training on harassment on behalf of the EEOC as well as providing training on diversity to members of the United States intelligence agencies. He was appointed by the EEOC to the Select Task Force on Harassment in March 2015. Segal is the Legislative Director for the PA State Council of SHRM, Inc. In this role, he spearheads grassroots advocacy efforts either in support of or in opposition to proposed legislation affecting the employer-employee relationship. Elena Cooper is a partner at Duane Morris LLP in the Employment, Labor, Benefits and Immigration Practice Group, focusing in the area of employment law, advising clients on transactional, contentious and human resources advisory issues, including multi-jurisdictional restructuring programs, TUPE transfers, outsourcing and redundancies. She concentrates in the areas of financial services, hotel and leisure, media, oil and gas, construction, IT and transport. Cooper’s litigation practice centers on High Court and Employment Tribunal litigation, including high-value bonus claims, restrictive covenant disputes, high-value discrimination, whistle-blowing and breach-of-contract claims. She also advises on all aspects of employment law with a focus on minimizing risk and managing the impact of workplace disputes on morale, business reputation and management time. Cooper regularly advises on senior executive-level terminations and recruitment, severance arrangements, redundancies and succession planning, effective employee management and international employment disputes. With Duane Morris Institute (DMi), Cooper provides structured client training quarterly with webinar sessions to UK and international clients. She also provides a Human Resource Life Cycle Program to clients to assist in all aspects of company set-up from an employment perspective. This blog should not be construed as legal advice, as pertaining to specific factual circumstances or as establishing an attorney-client relationship. Recognizing the potential benefits that a larger, more financially stable airline could have on both national and regional economies, American Airlines and US Airways joined forces in late 2013 to form the American Airlines Group (American). Although it has been just under a year since the merger became official, the upside – especially in greater Philadelphia – is already clear: consumers of all types now enjoy improved air travel options. The stronger airline has helped create a stronger economy, and more capacity has allowed American to make an even bigger economic impact on the region’s communities and businesses. The new American Airlines allows Greater Philadelphia to raise their expectations of airlines. Philadelphia International Airport (PHL) is now our largest hub in the northeast. American now offers more than 125 domestic and 32 international destinations, including 20 peak season non-stop flights to Europe. This extensive service permits travelers throughout the region to go more places faster. Operating 483 daily peak departures, nearly every type of consumer in every part of the region, from southern New Jersey to Delaware and everywhere in between, is experiencing first-hand what a stronger airline can do for them. Businesses now have greater access to new customers and new markets – both in the United States and abroad. This presents a lucrative opportunity for companies looking to expand by opening more doors and allowing them to better compete in an increasingly globalized economy. Companies in all parts of the region are now being better served. Not only can they seamlessly send executives to Europe on uninterrupted, non-stop flights, but they can also move cargo and products to a broader range of places throughout the world. In addition to transporting passengers, American also carries 111 million pounds of cargo on an annual basis – a figure that is sure to increase with the announcement of a new 25,000 square-foot cold storage facility at PHL. A $5 million investment, this new facility will triple current warehousing capacity and will be designed to house a full range of temperature-sensitive products being shipped in and out of the strategically important northeast corridor. Not only will this strengthen the many pharmaceutical companies currently headquartered in the Philadelphia region, but it will enhance business opportunities for many of our UK based pharmaceutical business partners. Investments such as this at PHL will also serve as an incentive to others to consider relocating their operations and new jobs to the Delaware Valley. Bringing American Airlines and US Airways together to form the world’s largest airline has put the company on more stable financial ground. As a result, the Philadelphia region’s economy is stronger because of the rebound by one of its largest employers. At the height of the airline industry’s turmoil, news about potential bankruptcies seemed to be a regular occurrence. Since the merger, the tenor seems to have changed and the benefits are becoming clear. Today, American has nearly 7,600 employees at PHL and is by far the largest airline employer in Pennsylvania. While their jobs may be located in Pennsylvania, our employees call every corner of the region home – neighbor states Delaware and New Jersey included – helping to spread the economic benefits across the region. In short, financial stability has created additional opportunities for careers to begin, flourish, and remain for years, and has also allowed American to make major upgrades. In 2014, American invested $5.6 billion in new aircraft. This investment marks the largest aircraft order in aviation history – 556 jets in total – and with two new planes arriving each week, American is on pace to be the youngest fleet in the skies by 2017. Not only will this raise the bar for aircraft quality, but the size of this investment will have an enormous impact on both the regional and national economies. Even as separate companies, American Airlines and US Airways made significant philanthropic contributions to the communities in which they operated. But when the industry hit turbulence, those efforts became increasingly difficult to balance as they struggled to maintain basic operations. As a larger airline with more stable financial footing, the new American has been able to make an even greater impact. Our dedication to supporting and strengthening communities through charitable giving remains unchanged. In 2014, American has already donated over $750,000 to nearly 60 local charities and cultural institutions, including the United Way, MANNA, the Police Athletic League, the Franklin Institute, the Philadelphia Museum of Art, the Barnes Foundation, and others. In addition, our employees, who had already built a reputation for performing substantial volunteer service prior to the merger, remain committed and steadfast in giving back. “Do Crew” members – American Airlines’ employee volunteer service organization – recently participated in the 34th annual National Veterans Wheelchair Games, which were held in Philadelphia. With more than 600 athletes, 1,200 wheelchairs and constantly-changing travel schedules, the execution of smooth travel through PHL took an extraordinary level of coordination across departments, airport stakeholders, TSA and the USO. From the Ramp Teams who unloaded and loaded the wheelchairs, to the customer assistance representatives and Agents who assisted the athletes from the aircraft and the ten “Do Crew” volunteers, it was truly an example of coordinated American teamwork at its finest. It is no secret that the airline industry faced difficult times in recent years. Even before the recession caused severe additional pain, indicators had already been trending in a troublesome direction. For example, the cost of many everyday items has steadily risen since 2000 but air travel has not – roundtrip domestic ticket prices have gone up just 19% versus the 141% increase in the cost of a gallon of gasoline or the 147% increase in annual undergraduate tuition. With already dwindling revenues, the significant reduction in consumer spending during the recession exacerbated the problem. The shared benefits of the decision to merge – by the Philadelphia region’s consumers, employees, and communities alike – are clear reasons to believe that the positive results will continue to add up. American has proven to be a model for the airline industry to follow as it continues to rebound by demonstrating the impact that a larger airline on more stable financial footing can have. Given that all of this has taken place in less than one year, there is reason to believe that the future has never been brighter.